The fig wax scale may be found on the stems, leaves, branches, and fruit of the host plants, which include a wide variety of plant families from all over the world. The adult females have an oval body with a thick grayish white wax covering tinged with red. This covering occurs in lateral plates with dry wax filaments protruding from the plates, and a single larger dorsal plate. 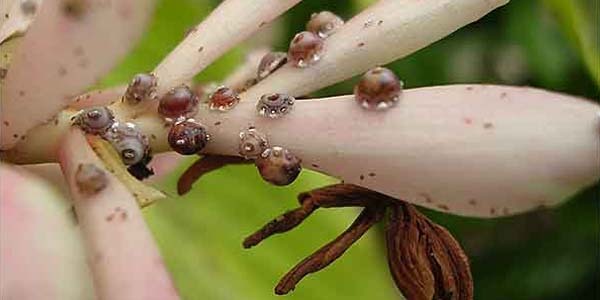 This polyphagous pest has been intercepted numerous times on a variety of hosts from Pacific islands, South and Southeast Asia, Central America, and the Caribbean. 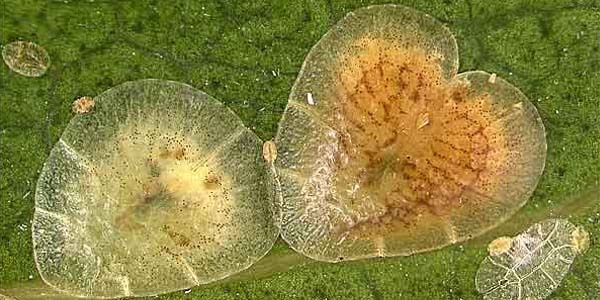 Mango shield scales occur primarily on the leaves of their hosts. Males are usually absent or rare, and the females are yellow-green when new, turning brown as they grow older, and lacking an obvious wax covering. 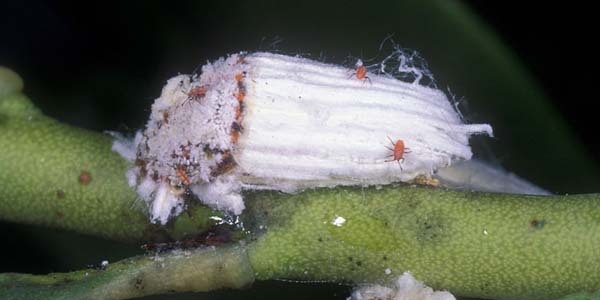 A common pest of citrus all over the world, the cottony cushion scale has a distinctive appearance. The adult females carry their characteristic fluted ovisac under and behind their bodies, and they remain mobile throughout their life cycle. The body is red with black legs and antennae, and it is covered with a layer of white to cream wax. They are primarily found on the leaves and stems of the host. Detailed diagnostic information and images are presented in fact sheets for each family and species represented. The fact sheets have been updated with the latest taxonomic and quarantine information. There are four keys to identify slide-mounted adult females: one for scale families, one for mealybugs and similar scales, one for soft scales, and one for pest species in other families. A separate key for armored scales is also available. A comprehensive image gallery is included. The gallery is filterable, offering an image-based option to find the pest fact sheet you're looking for. Each image links directly to the fact sheet in which it's found.